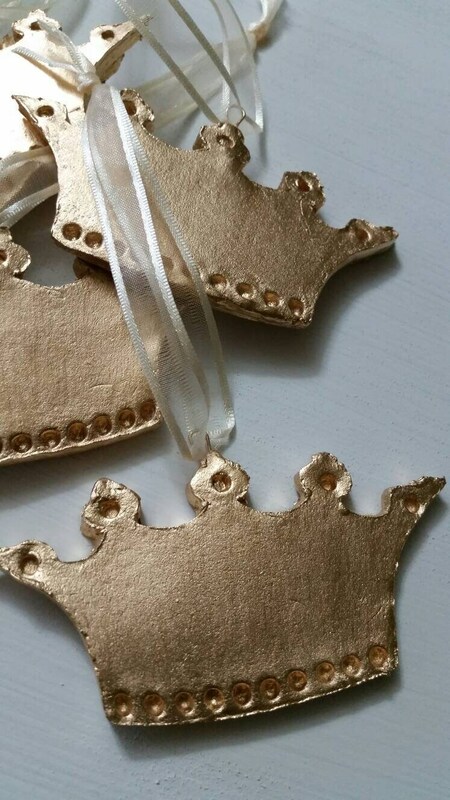 Gold Leaf Handmade Ornament With Hanging Ribbon - Gift Tag - Mardi Gras Favors - Nola - Carnival Season - Can Be Personalized. 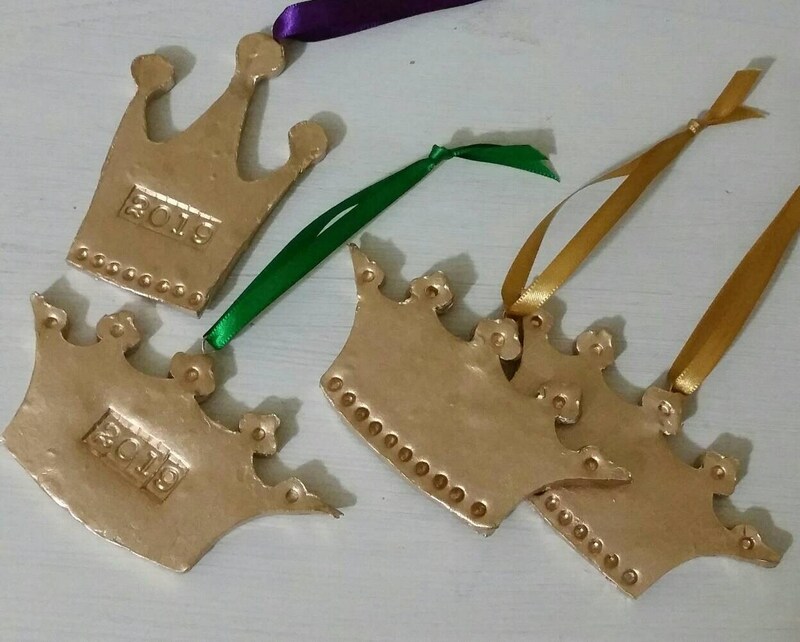 Style of crown Tall Crown Tall crown with date Wide crown with dots Wide crown with date Crown Mardi Gras Crown with cut outs. 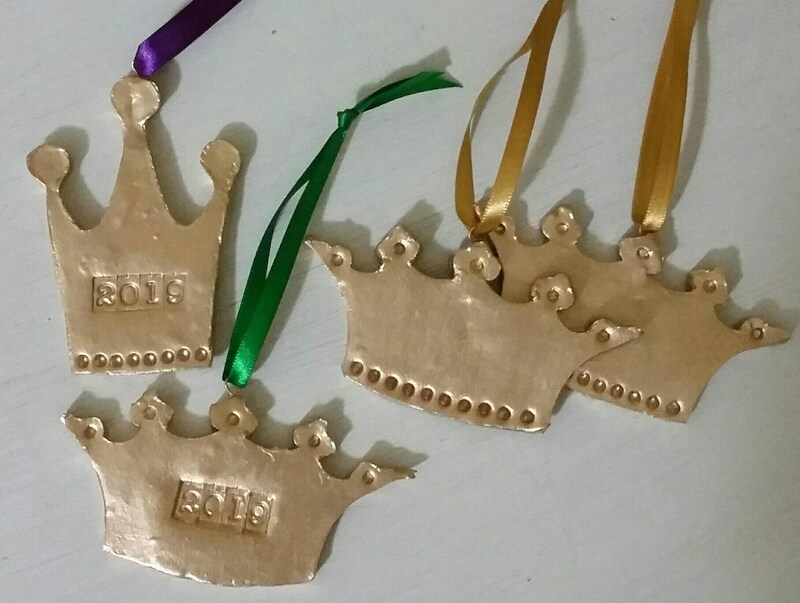 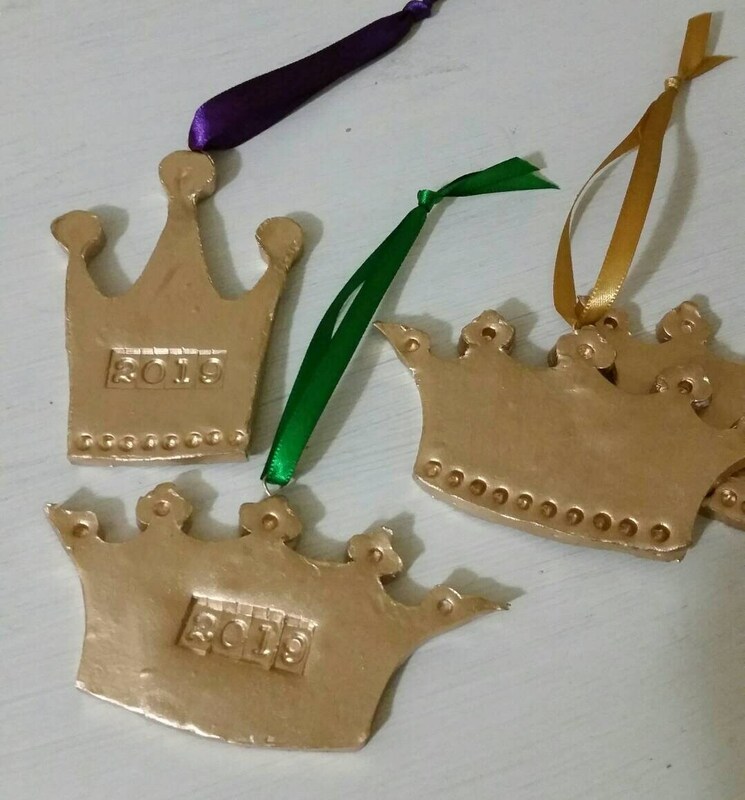 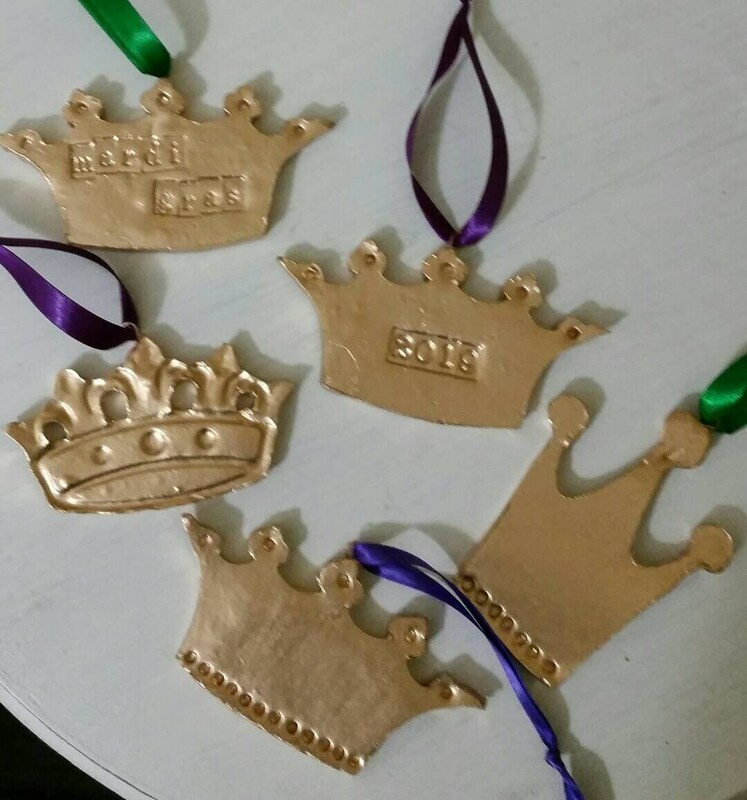 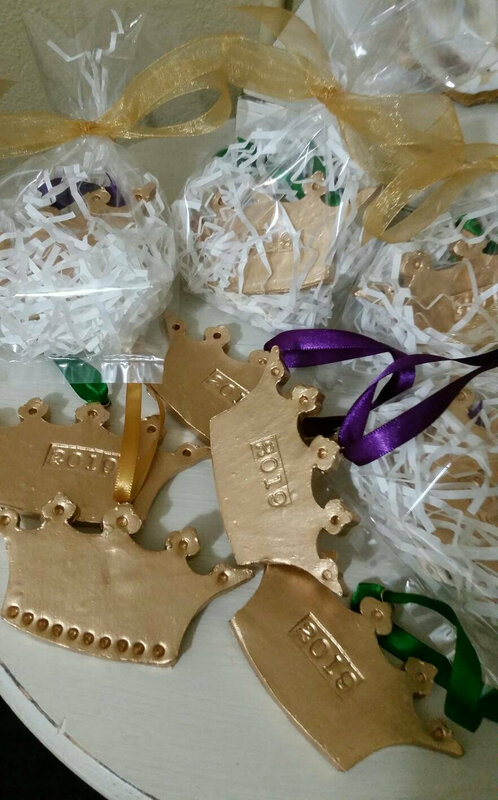 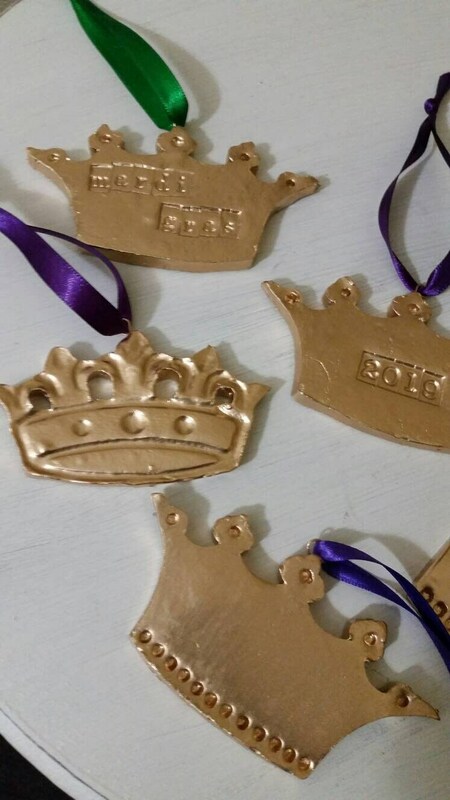 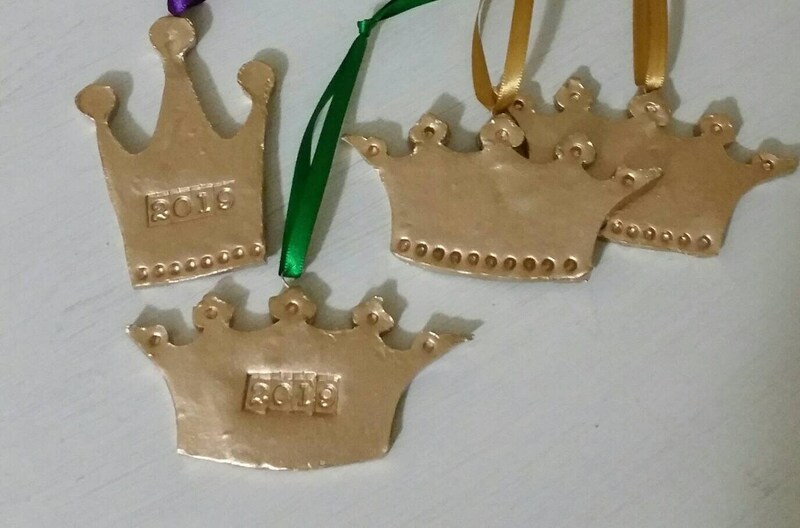 The crown will have a ribbon installed at the top so it becomes a hanging ornament or gift tag. 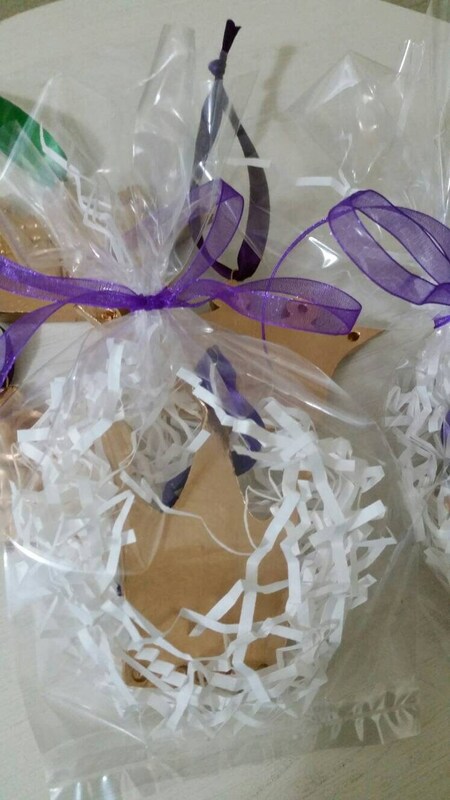 We will also put in clear gift bags just ask.